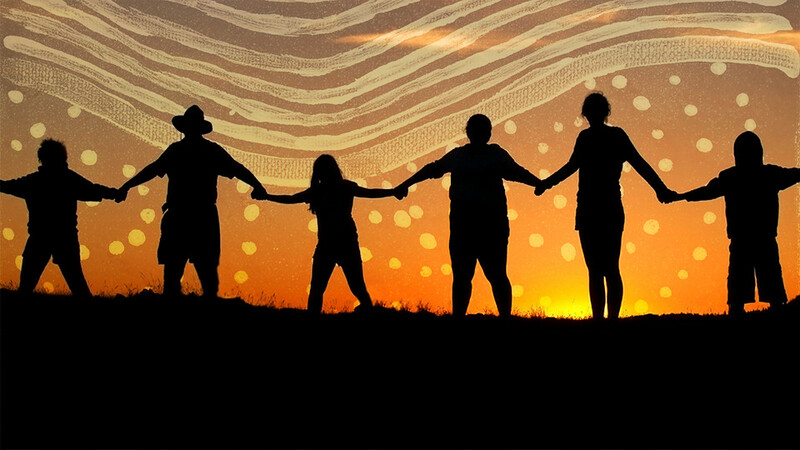 Aboriginal and Torres Strait Islander Suicide Prevention Evaluation Project (ATSISPEP) report, Solutions that Work: What the Evidence and Our People Tell Us. Suicide is one of the most common causes of death among Aboriginal and Torres Strait Islander people. On average, over 100 Aboriginal and Torres Strait Islander end their lives through suicide each year, with the rate of suicide twice as high as that recorded for other Australians. 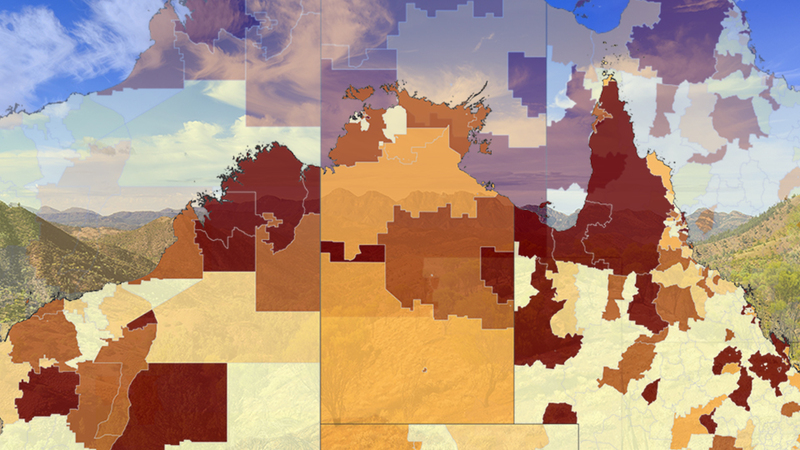 Aboriginal and Torres Strait Islander suicide rates can vary markedly by age, gender and other factors. 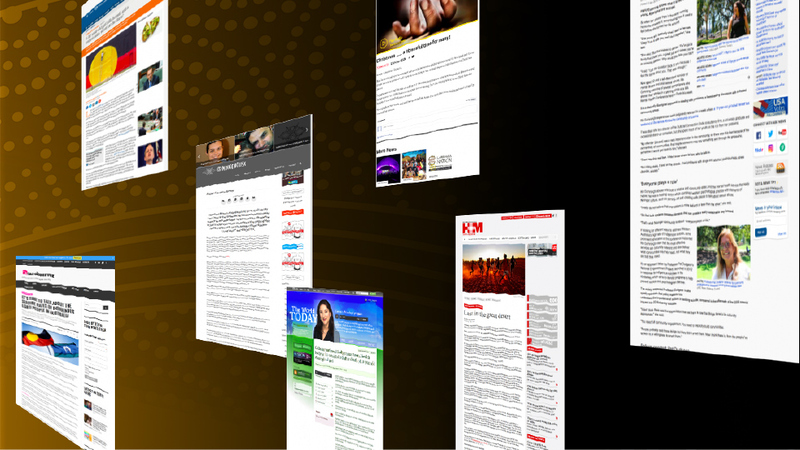 Media coverage about ATSISPEP and Indigenous Suicide Prevention. Winthrop Professor Jill Milroy is a Palyku woman whose country is in the Pilbara region of Western Australia. She is Dean of the School of Indigenous Studies at UWA, which under her leadership has been highly successful in developing preparatory and support programs for Indigenous students in professional degrees including Law and Medicine. The success of these programs has been recognised by two national teaching excellence awards. Professor Milroy taught Aboriginal history for 15 years and has significant expertise in Indigenous curriculum development across a range of disciplines including health, landscape design, education and law. She is currently working on a project to design Indigenous curriculum in Engineering. The key focus of her research is in Aboriginal story systems and she creates and tells stories with her mother Gladys Milroy, a Palyku Elder. The basis of their work is the rights of Aboriginal children to be born into stories. Professor Milroy's more than 30 years experience in Indigenous higher education has included serving on a number of national advisory bodies, committees and reviews. She has been a strong advocate within the national higher education arena for the formal recognition and resourcing of Indigenous knowledge systems. In 2011 she was appointed a Member of the Order of Australia in recognition of her services to Indigenous education. Professor Dudgeon is from the Bardi people of the Kimberley. She was the first qualified Indigenous psychologist. She is well known for her leadership in Indigenous higher education and was Head of the Centre for Aboriginal Studies at Curtin University for 19 years. Currently she is a research fellow and an associate professor at the University of Western Australia. She is actively involved with the Aboriginal community, having an ongoing commitment to social justice for Indigenous people. Professor Dudgeon was the Chair of the Aboriginal and Torres Strait Islander Mental Health Advisory Group and is currently Co-chair of the Aboriginal and Torres Strait Islander Mental Health and Suicide Prevention Advisory Group, Chair of the Aboriginal and Torres Strait Islander Leadership in Mental Health group and a member of the National Mental Health Commission. Dr Calma is an Aboriginal elder from the Kungarakan tribal group and a member of the Iwaidja tribal group in the Northern Territory. He has been involved in Indigenous affairs at a local, community, state, national and international level for over 40 years. Dr Calma was the Aboriginal and Torres Strait Islander Social Justice Commissioner from 2004-2010 and the founding Chair of the Close the Gap Campaign for Indigenous Health Equality. 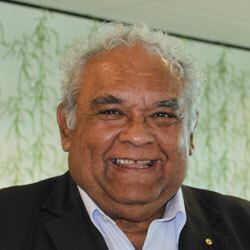 He was also Chair of the Aboriginal and Torres Strait Islander Suicide Prevention Advisory Group that oversaw the development of the National Aboriginal and Torres Strait Islander Suicide Prevention Strategy, and is currently Co-chair of the Aboriginal and Torres Strait Islander Mental Health and Suicide Prevention Advisory Group, National Coordinator for the Closing the Gap Tackling Indigenous Smoking measures, Chancellor of the University of Canberra, Co-chair of Reconciliation Australia, an Ambassador for Suicide Prevention Australia, a member of CRESP at the Black Dog Institute, and a member of the National Aboriginal and Torres Strait Islander Leadership in Mental Health group. 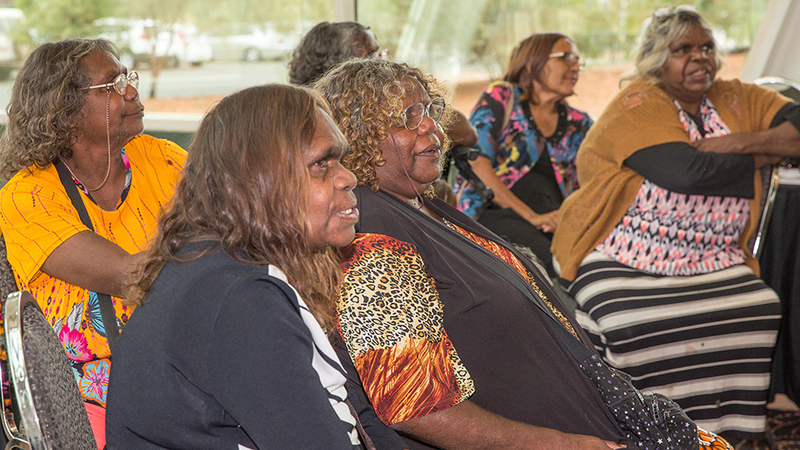 Associate Professor Walker has been involved in research, evaluation and education with Aboriginal communities building local capacity within both Aboriginal and non-Aboriginal organisations for thirty years. 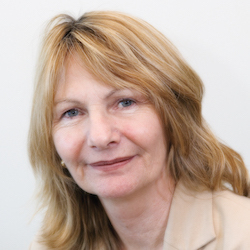 Roz is a senior researcher with both the University of Western Australia and the Telethon Institute for Child Health Research and a Principal Investigator on the Institute Faculty. 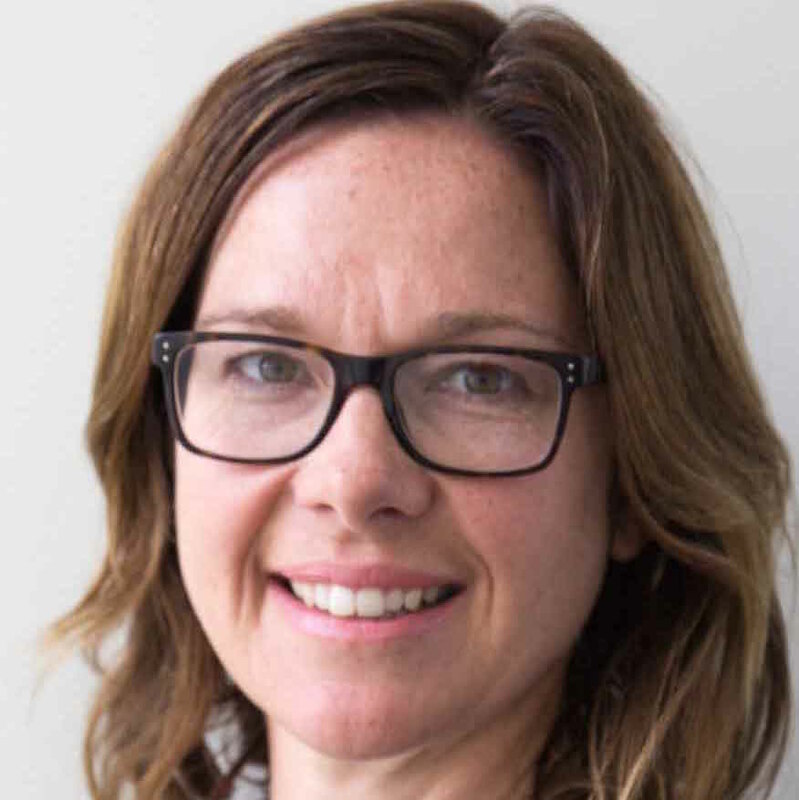 She is a Chief Investigator in several national ARC grants as well as in the NHMRC Centre for Research Excellence Grant, Aboriginal Health and Wellbeing at the Institute. 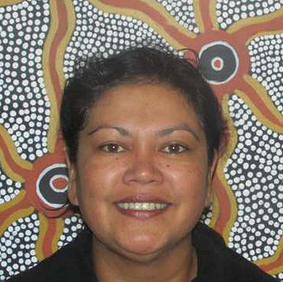 Roz also serves on a number of high level steering committees and national Indigenous networks. Her key areas of interest include developing transformative and decolonising strategies at individual, organisational and community levels as well as promoting system level change. She has worked in Aboriginal education in teaching, curriculum development, academic coordination, research and evaluation. She has extensive experience in translating research into policy and practice and community-based participatory action research methods and ethics to achieve health related outcomes. Roz has taught extensively at undergraduate and graduate levels in Aboriginal community management and development and early years education in remote areas. 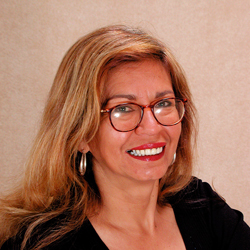 Roz co-edited both the first and second editions of the Working Together Aboriginal and Torres Strait Islander Mental Health and Wellbeing Principles and Practice and led the highly effective communication and dissemination strategy for the book which saw over 50,000 hard copies and 50,000 downloads of the first edition disseminated to mental health practitioners and students throughout Australia. 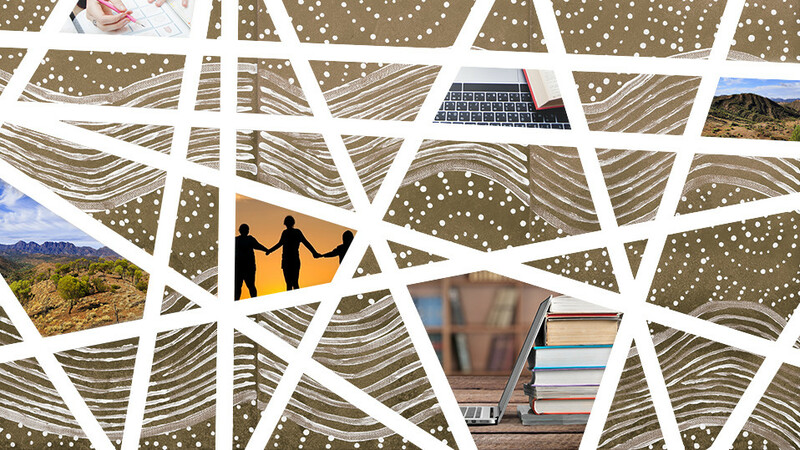 Roz has published widely in Aboriginal maternal and child health and mental health and wellbeing and co-led the Close the Gap paper examining Effective Strategies for Indigenous Mental Health and Wellbeing. A professional with 20 years? experience in the health sector, Yvonne interacts and collaborates with all levels of government, health professionals, service providers and advocacy bodies to achieve high quality, accessible and culturally appropriate health care. As the Executive Officer of the Aboriginal and Torres Strait Islander Suicide Prevention Evaluation Project (ATSISPEP), Yvonne values the opportunity to assist Indigenous leaders in the development of strength based solutions to the excessive suicide rates. She has a wealth of experience in public health, with particular interests in Indigenous health, chronic disease prevention, and equity of access to healthcare. 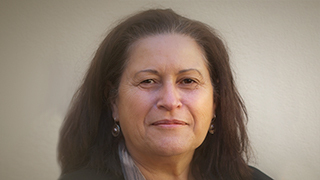 She has been Vice President of the Public Health Association of Australia and is currently a Board member and the Co-Convenor of PHAA?s Aboriginal and Torres Strait Islander Special Interest Group, and deeply values her long involvement in the Close the Gap Steering Committee. 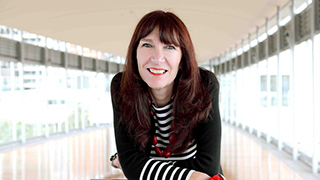 Previously working as CEO of Palliative Care Australia, Yvonne is a passionate advocate for palliative care on the international stage, through her ongoing involvement with the International Association for Hospice and Palliative Care, the Asia Pacific Hospice Palliative Care Network and the Worldwide Palliative Care Alliance. She has been especially proud to host the Australian edition of ehospice ? 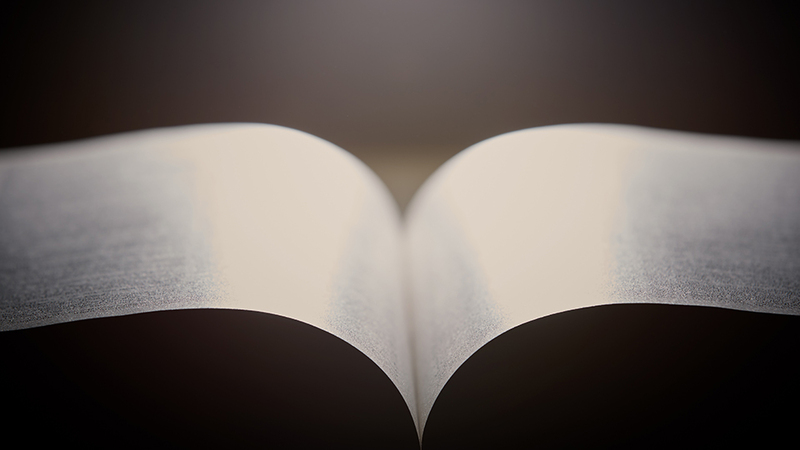 broadening the communication reach of news and views about hospice and palliative care. Yvonne?s previous positions include Manager of Policy and Advocacy for the Royal Australasian College of Physicians, Senior Executive Officer of the Australasian Faculty of Public Health Medicine, and several years as a university lecturer in various health related subjects. She has qualifications in philosophy and higher education, and her doctoral thesis explored a mixture of policy and medical issues with a focus on child oral health. Ms Cox is a Bunuba and Gija woman from the Kimberley region of Western Australia. She started her working life in media and in suicide prevention. Adele is a former member of the WA Ministerial Council for Suicide Prevention and currently a member of the Australian Suicide Prevention Advisory Council, the National Senior Consultant to the National Empowerment Project and a member of the Aboriginal and Torres Strait Islander Mental Health and Suicide Prevention Advisory Group. Gerry Georgatos has travelled to hundreds of homeland communities throughout Australia over two decades. He was the General Manager of the Murdoch University Guild of Students 2006 to 2010 and a Board member of the Murdoch University Senate from 2006 to 2008 and a member of the University?s Academic Council 2005 to 2009. In 2008, he was recognised at the Western Australian Government Community Service Awards with the Outstanding Individual Achievement Award for his work with Students Without Borders, the homeless and former inmates. For several years he forayed into journalism ? contributing to the National Indigenous Times and the National Indigenous Radio Service. In 2013 he was the recipient of Journalist of the Year at the National Multicultural and Indigenous Media Awards. Among his qualifications he holds a Master of Social Justice Advocacy, a Master in Human Rights, a Graduate Diploma in Human Rights Education and degrees in Philosophy, Aboriginal Studies, Media Studies. 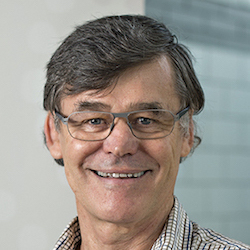 Professor Silburn leads the program of developmental health, education and wellbeing research at the Menzies School of Health Research (Menzies) in Darwin. He co-directed Curtin University's Centre for Developmental Health at the Telethon Institute. He practiced as a clinical psychologist for 15 years with the WA Child and Adolescent Mental Health Service and became involved in Aboriginal mental health when he chaired the WA Ministerial Council for Suicide Prevention's working group on Aboriginal suicide prevention. 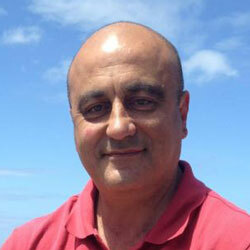 He was a chief investigator on the WA Aboriginal Child Health Survey, a report on the measurement of mental health problems in Aboriginal children and young people and the first independently verified population data documenting the nature and extent of the inter-generational effects of forced separation in WA. During 2012, he co-led the national consultation process undertaken jointly by Menzies and the National Aboriginal Community Controlled Health Organisation for the drafting of the National Aboriginal and Torres Strait Islander Suicide Prevention Strategy 2013-2017. Dr Scrine is a Senior Research Officer at the Telethon Kids Institute. She has worked with the CREAHW and the Kulunga Aboriginal Research and Development Unit on a number key research and evaluation projects with Aboriginal communities, including the WA Aboriginal Child Health Survey, Rio Tinto Child Health Partnership, BHP-sponsored Staying on Track, Substance Use Reduction project in the Pilbara, reviews of the St John of God Health Care Strong Women, Strong Babies, Strong Culture program in the Pilbara, the Michael Leslie Pilbara Performing Arts Program, and the Wheatbelt Aboriginal Health Service. 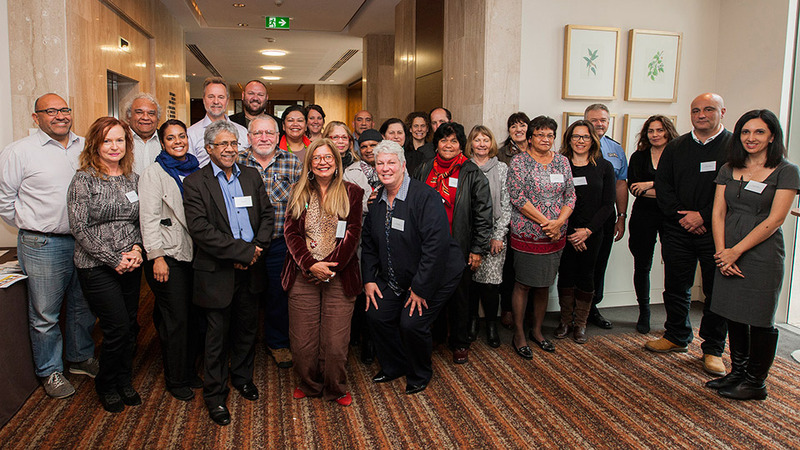 Dr Scrine was part of research team for `Hear our voices: Community Consultations for the development of an Empowerment, Healing and Leadership Program for Aboriginal people living in the Kimberley in Western Australia? and was part of the evaluation team for the `National Empowerment Project Phase Two?. She is an author on Working Together Aboriginal and Torres Strait Islander Mental Health and Wellbeing Principles and Practice and the Close the Gap paper examining Effective Strategies for Indigenous Mental Health and Wellbeing. In the course of the project, resources were identified that may be of use to researchers in the field of Indigenous suicide prevention. 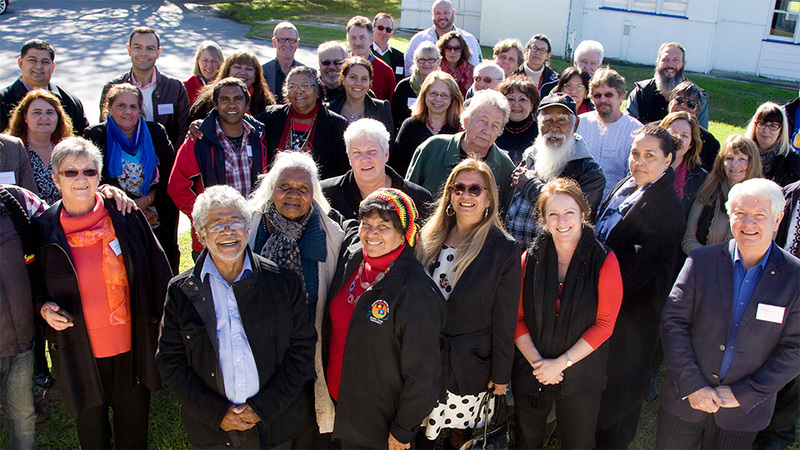 ATSISPEP delivered its final report to the Minister for Indigenous Affairs Nigel Scullion in 2016 making recommendations for the improvements to existing services and programs, and on alternative evidenced-based service and program delivery models. 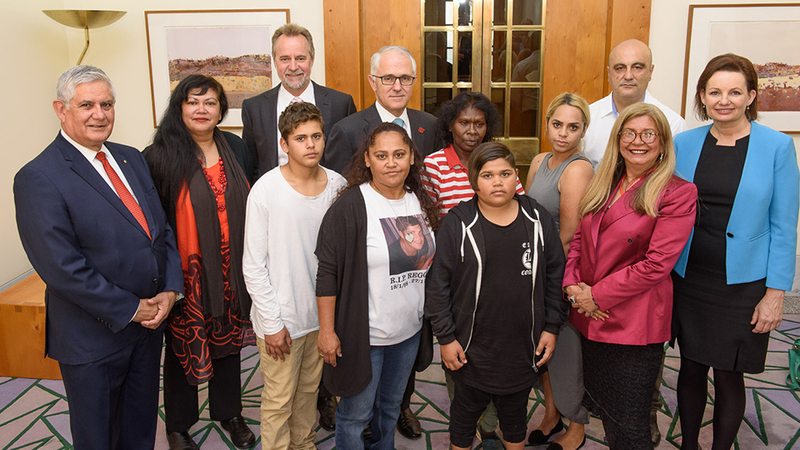 The Australian Government formally released the ATSISPEP final report ‘Solutions that work – What the evidence and our people tell us ’ at a launch at Parliament House on the 10th of November 2016. The Minister for Indigenous Affairs, Nigel Scullion, Minister for Health and Aged Care, Sussan Ley, and Assistant Minister for Health and Aged Care, Ken Wyatt were in attendance. Artwork meaning: the Nyoongar story of the ocean. The artist believes that the sea plays an important role in Aboriginal society as it provides food and maintains balance. In Nyoongar culture the land is feminine and the water is masculine, together they produce fertilisation which produces plants, animals and maintains culture. The ocean is also a pathway for the spirits of the deceased for the journey from the land to Garden Island and Rottnest Island. This knowledge was given to Jade by her Pop and she wishes to continue to share this knowledge.